This spring, International Middle School English teachers Brian Johnson and Heidi Smith, and art teachers Aïcha Idelcadi and Haiying Yang collaborated on a project that challenged students to analyze the connections between art and literature through the works of John Steinbeck and Diego Rivera. The jumping-off point for the project was Steinbeck’s The Pearl, a novella set in Mexico and inspired by a Mexican folk tale. First, the 6th graders read The Pearl in their English classes. 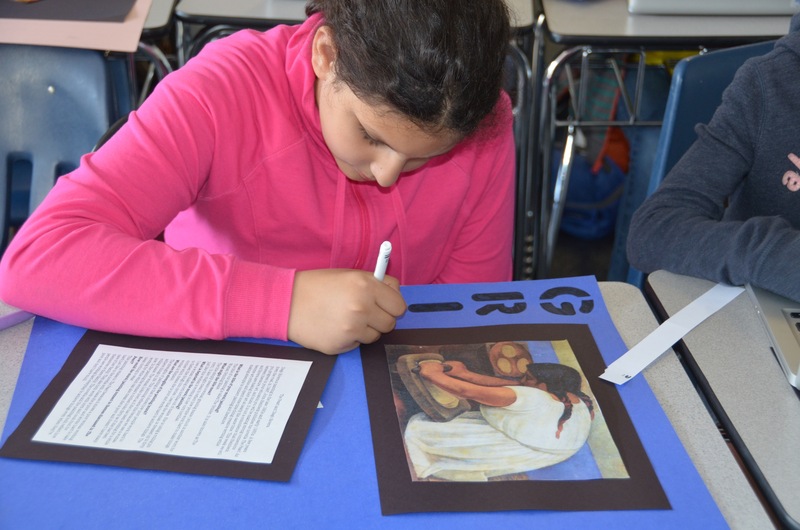 They also learned about Mexican artist Diego Rivera and the historical and cultural context in which he did his work. Students discovered that both Steinbeck and Rivera’s work contain strong elements of social criticism. 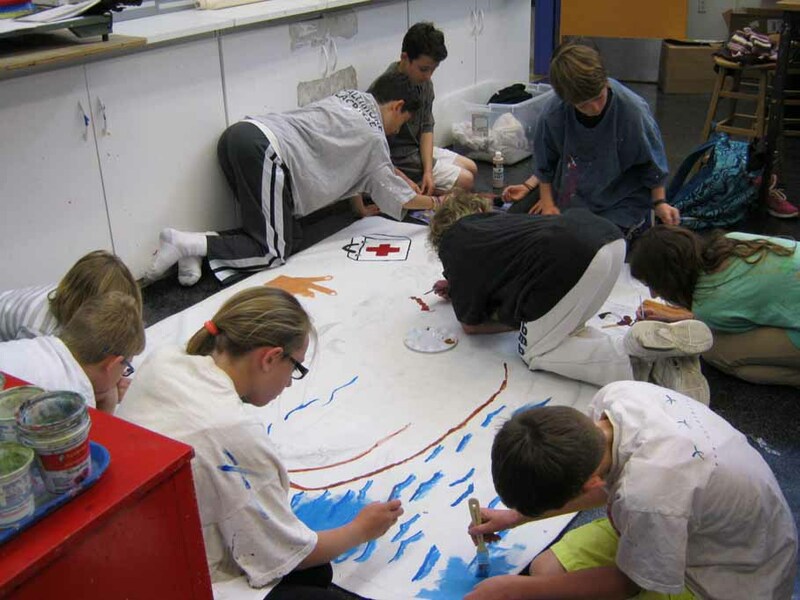 Then, students were given a Rivera mural or painting to examine. 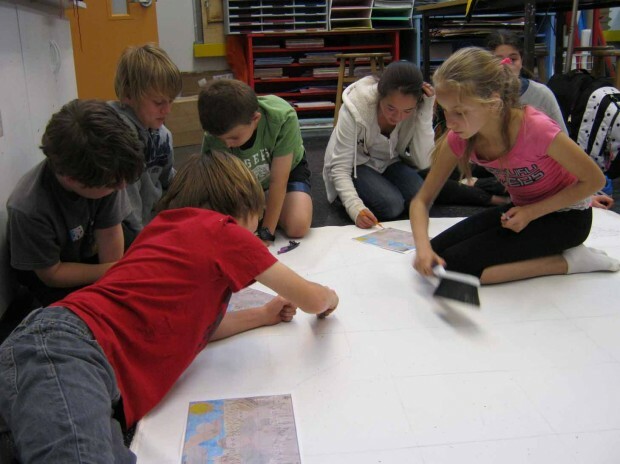 Working in groups, they put themselves in the role of art critics and discussed and analyzed the work. Taking on this role was a challenge for students, because they had to not only analyze what a work of art depicted, but also take their analysis a step further and look critically at the strengths and weaknesses of the work. 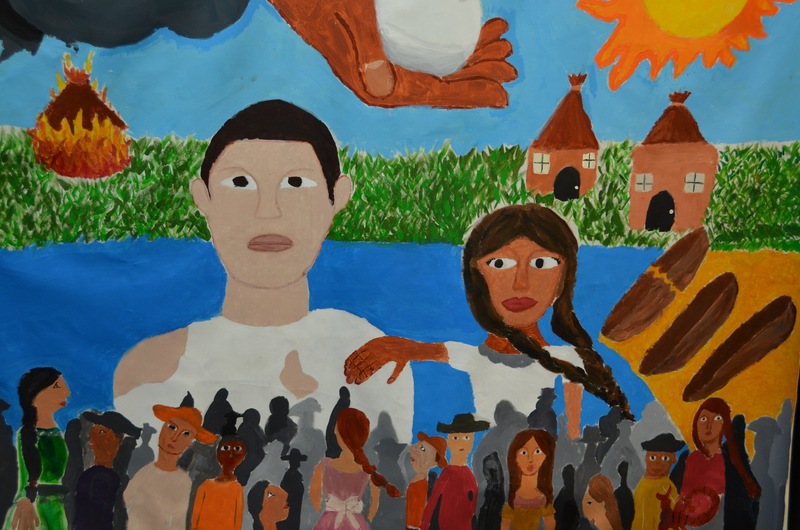 For the final phase of the project, students worked with art teachers Aïcha Idelcadi and Haiying Yang to create a mural in the style of Diego Rivera but inspired by the characters and themes of The Pearl. Students worked in groups to sketch their ideas, and then combined all their ideas into a single large mural. The Steinbeck/Rivera project was a very successful interdisciplinary collaboration for Brian, Heidi, Aïcha, Haiying, and their students. The 6th graders were challenged to be both critical and creative, flexing their creative muscles and gaining new insight into the creative process.